Type 2 diabetes is a condition that makes the body unable to use insulin properly. When the body cannot use insulin to process the sugar in foods, blood sugar levels rise. Unchecked, diabetes can lead to nerve damage, cardiovascular disease, kidney problems, and more. Because diabetes is a lifelong condition, it’s important that older adults with diabetes take steps to manage it. In fact, there are some things that people with diabetes need to do every day. 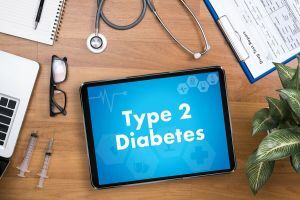 If you’ve recently become a family caregiver for someone with type 2 diabetes, here are some things that your aging relative will need every day. Without testing blood sugar daily, it’s difficult to know if the older adult’s diabetes management plan is effective. If blood sugar levels are too high or too low, it may be necessary to make adjustments. How often blood sugar needs to be checked varies. Some people need to test blood sugar several times per day, but others only need to do it once. Follow the doctor’s advice for how often your aging relative needs to check. Many people with diabetes need to take medication depending on the results of the test. Again, medications must be taken according to the doctor’s instructions. There is no special food needed for managing diabetes, just the same healthy foods that are recommended for everyone. In general, diabetics should try to limit fat, salt, and sugar. They should eat a diet that includes vegetables, lean protein, and whole grains. Usually, diabetics work with a dietician to come up with a meal plan they can follow. If you’re uncertain of your aging relative’s meal plan, talk to the doctor or dietician. Just like everyone else, diabetics need to be physically active. Physical activity could be in the form of structured fitness classes, but any form of activity counts. So, even doing things like going for a walk, gardening, or cleaning the house help. People with diabetes are prone to foot problems, such as injuries or ulcers that don’t heal. The American Diabetes Association recommends that diabetics wash and inspect their feet every day. Home care services can assist with the daily tasks involved in diabetes care for older adults. A home care services provider can perform daily foot washing and checks. They can also remind the senior to conduct blood sugar checks and take medications. Home care services providers can also assist with the preparation of healthy meals that follow the older adult’s meal plan. Finally, a home care services provider can help to keep your aging relative physically active by going for walks with them, driving them to fitness classes or the gym, or simply encouraging them to move around more. This entry was posted in Challenging Diseases/illnesses/Conditions, Home Care Services Collierville TN and tagged Home Care Services Collierville TN. Bookmark the permalink.